Jonathan Dawson, haysmacintyre, delves into fintech investment trends and what 2019 could bring the sector. Earlier this year, it was revealed that record levels of investment in UK fintech had been seen over the 12 months prior, reaching a high of £2.6bn. But as the country navigates uncertainties, what can this relatively young industry expect from 2019? Can fintech maintain this increased investment interest, or will trends change as start-up companies look to climb the investment ladder and scale up their businesses? Investment trends are often driven by the attitudes of those investing. When institutional, venture capitalist, high-net-worth and private equity investors see the potential for value in a sector, we tend to see a trend of increased investment. However, like fintech itself, investment in the sector is disrupting the status quo. These increased levels of UK fintech investment over the past 12 months are instead most likely to have been driven by the investees, rather than the investors. Whilst investor appetite to secure equity in high potential technology business has been present for years, we are now starting to see more companies with a viable product and a ‘go to market’ strategy. 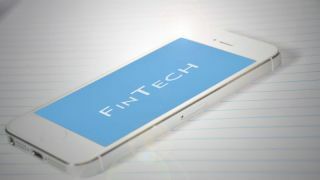 This strategy is starting to appeal to more mature investors, who perhaps may have taken small stakes in these companies at an earlier stage but are now willing to invest more significantly in the fintech sector. For example, we have seen success stories from the likes of Monzo, who recently raised £85m in their Series E fundraise. As the 13th member of the UK’s ‘Unicorn Club’, Monzo sits alongside Revolut, Transferwise and Funding Circle in a list ever increasingly dominated by fintech companies. As the fintech sector continues to mature, businesses are reaching a level in their lifecycle where their value is perhaps more apparent. Within the sector we have seen a large proportion of businesses publicly listing and others selling to financial institutions at remarkable values of over 20 times their revenue or adjusted profits. We’ve seen these companies turn ideas into reality, which in turn entices more traditionally conservative investors to get involved. One such example of this is was the recent announcement that Transferwise is looking to float part of their business, and it is rumoured that Goldman Sachs will be leading the investment round. Fintech is also attracting new types of investment, particularly crowdfunding, a fundraising method that has becoming especially popular over the past five years as it allows individuals to invest in unlisted businesses. It is hoped that Transferwise, amongst others, will provide a profitable exit opportunity to those who invested in the business during the early rounds, justifying that investment methods such as crowdfunding can be a viable way for individuals to access the investment market. For the most part, fintech companies have been referred to as ‘start-ups’, with the primary focus on the product, scaling application and the network, as opposed to the company’s profits. Now however, there are more sufficiently developed companies, with investors and management teams focused on profits, which will likely lead to further successful organic growth or exit events in the near future. Many of the scale-up businesses that raised money in 2018 didn’t exist five years ago, driving a premium on companies in the sector. Investors are catching on, and know that the start-ups of today could be the big names of the future. Valuation methods can also have an impact on investment levels. When valuing a company, a range of techniques can be used, and over recent years we’ve seen modern methods, such as the ‘network effect’, replace some of the more traditional techniques. Fintech companies are rarely valued on revenues, profits or assets alone, and investors are far more interested in the size of the network that the product is available to. For example, in late 2018 when Monzo raised funds on a valuation of five hundred times revenue, the business was clearly not being valued on its revenue, or indeed on the £33m loss it had suffered the year before. The network effect is likely to become ever more important in the coming years as we continue to see rapid developments in cryptoassets, augmented reality and artificial intelligence. Investors are well aware of the potential and power of these technologies, even if they are yet to understand the wider applications. Investors are therefore valuing businesses based on the size of their network, or potential network, and applying a monetary value to each possible customer within the ecosystem. Whilst once considered a sub-sector of tech, fintech is now being widely accepted as a sector in its own right as it continues to develop, encompassing many other sub-sectors of its own, including blockchain, robo-advisors, insurtech and regtech. First defined by the FCA in 2015, regtech saw rapid improvements last year, particularly in the processes surrounding know your customer (KYC), anti-money laundering (AML), compliance and risk mitigation. Some research has suggested that regtech will make up over a third of all regulatory spend by 2020 and, in a world where the annual compliance spend by financial institutions is estimated to be £200bn, will therefore play a significant role in fintech’s growth throughout 2019. A good example of this is regtech platform Opengamma, which has capitalised on this increased interest from regulation spend and recently secured £7.6m funding from a London based investor, Dawn Capital, allowing the business to rapidly expand its operations both in the UK and further afield. Further progress in sub-sectors such as robo-advisors, mobile banking, smart lending and blockchain is also likely for 2019. All of these areas are rapidly developing and improving their technologies, and new applications and solutions are starting to enter the market. Over the last five years, the UK’s fintech sector has broken countless records and is now valued at over £20billion in annual revenues. As Brexit looms over the UK, it’s difficult to predict investment for 2019. With the ongoing uncertainty over the UK’s departure from the UK, a quiet start to the year did not come as a surprise to many. Whilst negotiations over a Brexit deal (or no deal) continue in Westminster, fintech companies are far from slowing down, as the sector continues to develop more innovative technology and feasible products. Despite uncertainty over the UK’s future, the fintech sector is thriving. Although a relatively young industry, continued developments in the technologies and products will maintain investment interest, whether this is from crowdfunding, seed rounds, series investment or a public offering. As start-ups look to take the next step on climbing the investment ladder and scale up their business, they should consider their ‘go to market strategy’, as well as the feasibility and potential network of their product, thus appealing to more mature investment.